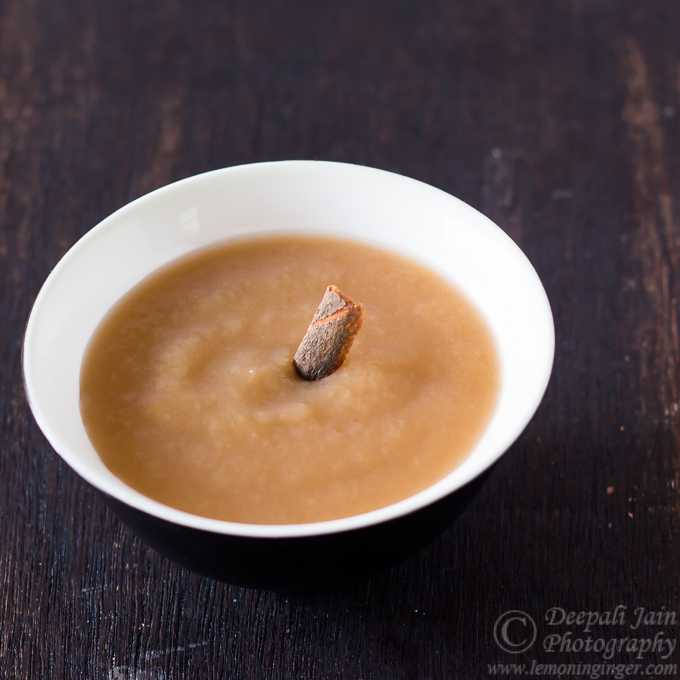 If you have baked eggless recipes on my blog, you would realise that Apple Sauce is quite frequently used as an egg replacer in many recipes. It is one of the easiest thing to make and has immense usage in our kitchens – for baking, for naturally sweetening our dishes or even as baby food. All you need is few apples, little sugar if so desired and a small cinnamon stick. 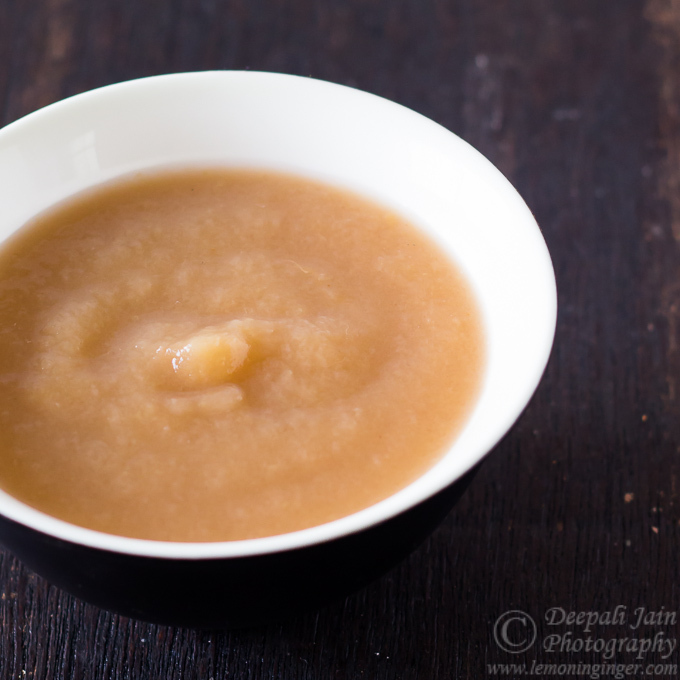 You are all set to make your own Home-made Apple Sauce. You can add fresh ginger or cardamom powder for flavour if you wish. The apple sauce stays fresh for a week in refrigerator and for another month in freezer. 1. Peel the apples and remove their core. Chop them into smaller chunks. 2. Now place all the ingredients in a thick bottom pan. Cover with a lid and allow it to cook on slow flame. After 5-6 minutes the apples will soften completely. You may need to check the pan for doneness earlier as well if the apples are already tender. Remove from flame and mash the apples completely. Strain the sauce to remove the cinnamon & ginger pieces. Allow to cool. 3. Store in an air-tight container in refrigerator for upto a week or upto a month in freezer. The quickest apple sauce. No sugar, no artificial flavour.